Have you misplaced your keys again? 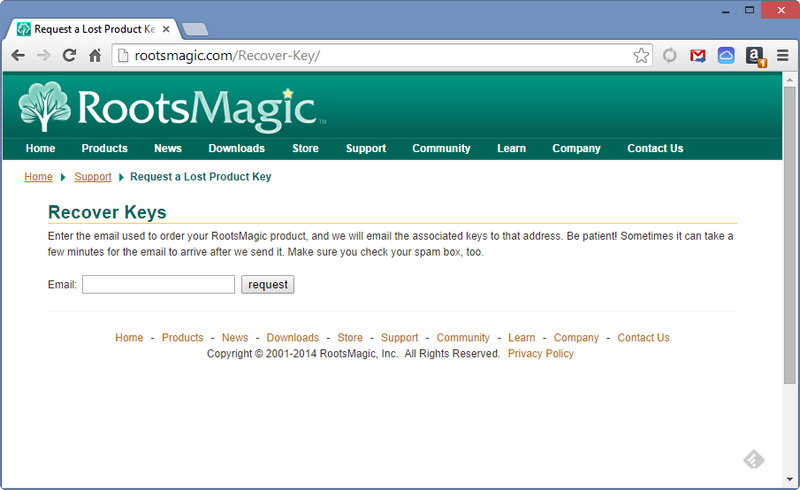 Not your car keys, but the registration keys for your RootsMagic software? If so, you’re not alone. 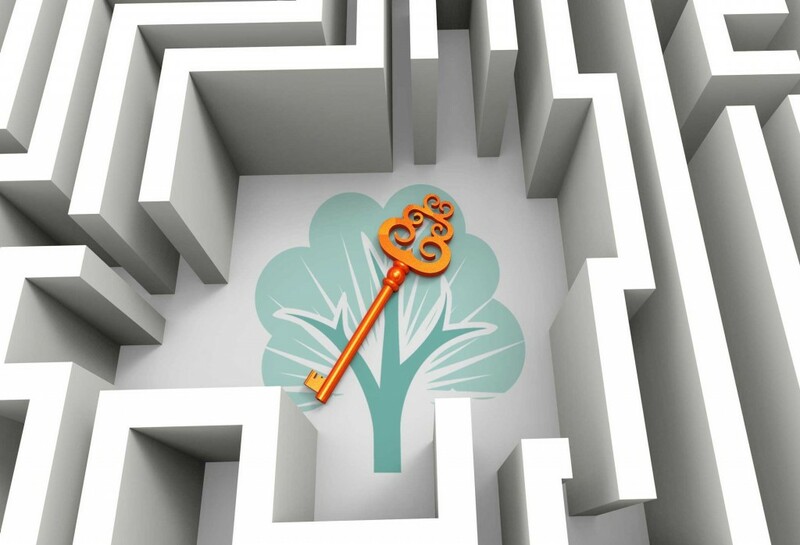 Requests for lost or misplaced registration keys is our number one tech support issue, but you can actually retrieve them yourself. Just visit our website at http://rootsmagic.com and hover over the Support menu at the top, then select Request a Lost Product Key. On the page that appears, enter your email address (the one you used when you ordered the software) and click the Request button. All of your registration keys (for any products you have ordered from us), will be emailed directly to you. You can then print out or save that email for future use. The email will also include links to download the software associated with your key. So the next time you “lose your keys”, just follow these easy steps to have the RootsMagic locksmith help you out. Great Idea. It should solve many problems. Great help. Thanks keep up the good work. I have had the experience of registering my Roots Magic software with an e-mail address associated with my ISP and then changed my ISP between that time and the time I have lost my registration key. How should I proceed if that happens again? Is there a way for me to provide my new e-mail address during the recovery process? Maybe by answering some security questions? 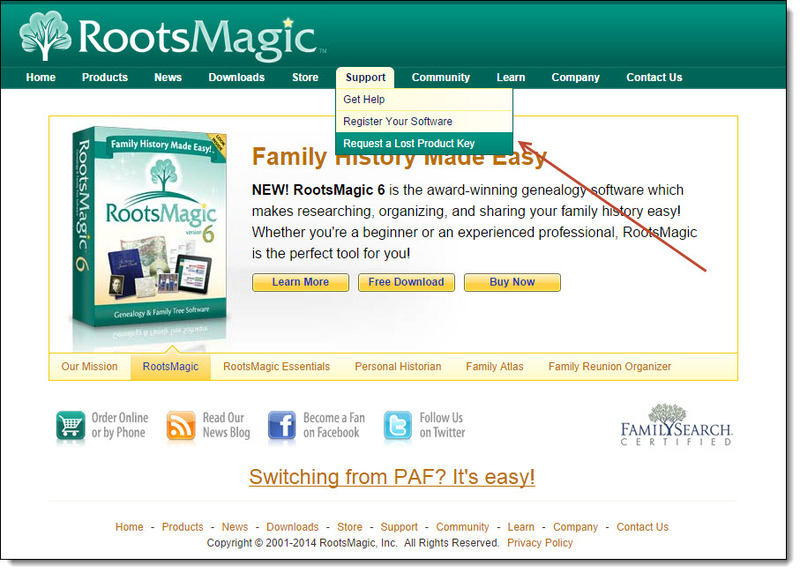 Reply: You would need to call or email support@rootsmagic.com the old email address and your new one, so we can update it in the online registration database. Keys requested in the future it will be sent to the new correct email address. Your service has been a life saver between having to upgrade windows and losing all of my favorite programs and then the hard drive crashing and having to replace the computer 6 months later being able to retrieve the registration key in the first instance and writing it in my day planner “just in case” dissolved a lot of stress. Thank you. The response with the registration keys was instantaneous!